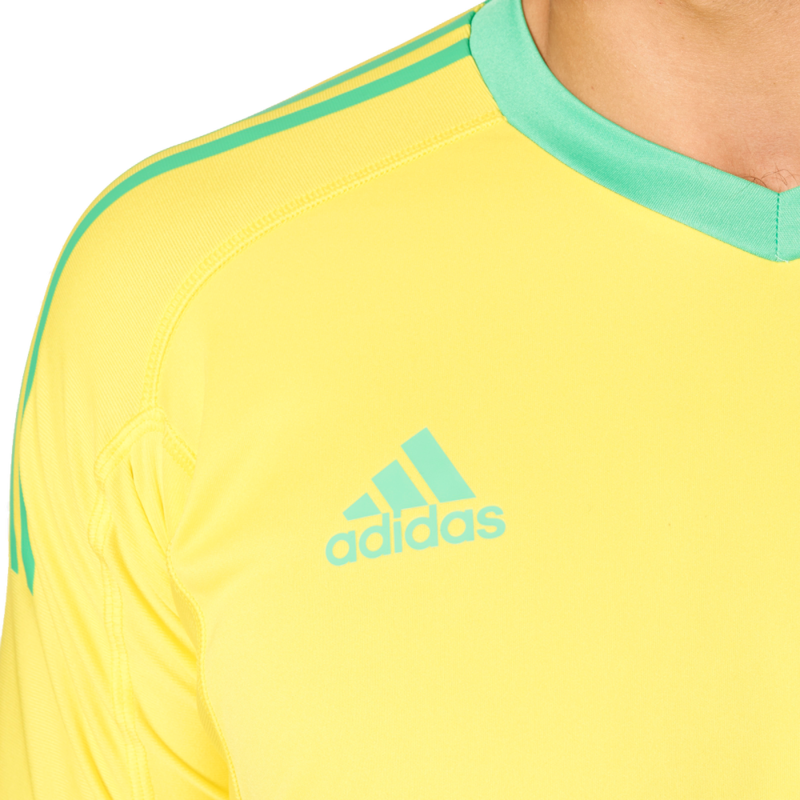 New Adidas youth goalkeeper jersey for 2017. Bright yellow and energy green color. 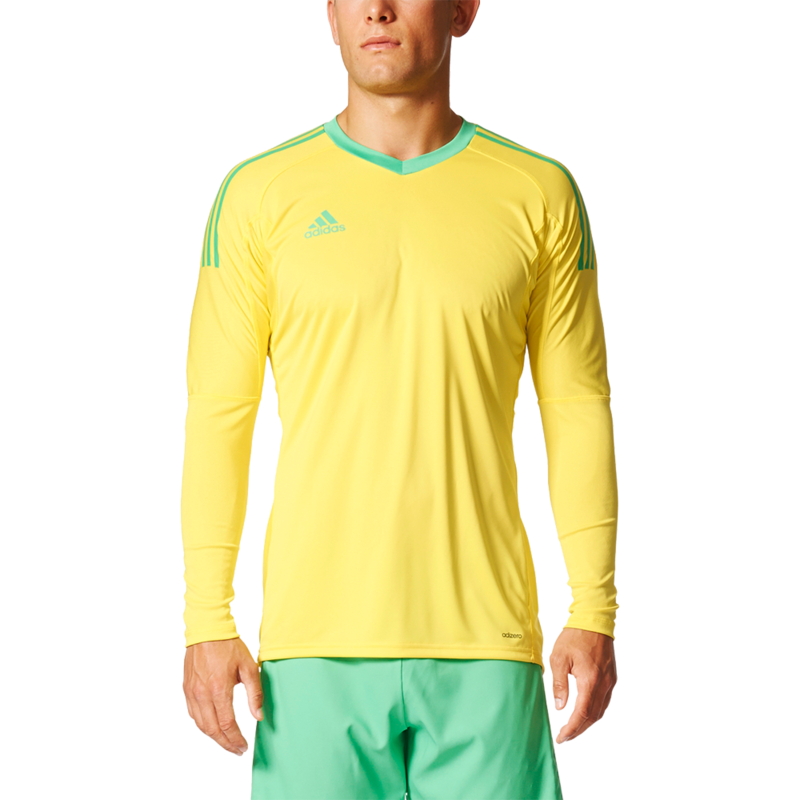 Adidas soccer goalkeeper youth shirt with ClimaLite moisture control for lightweight comfort and coolness. Light weight Adizero material wicks away sweat. 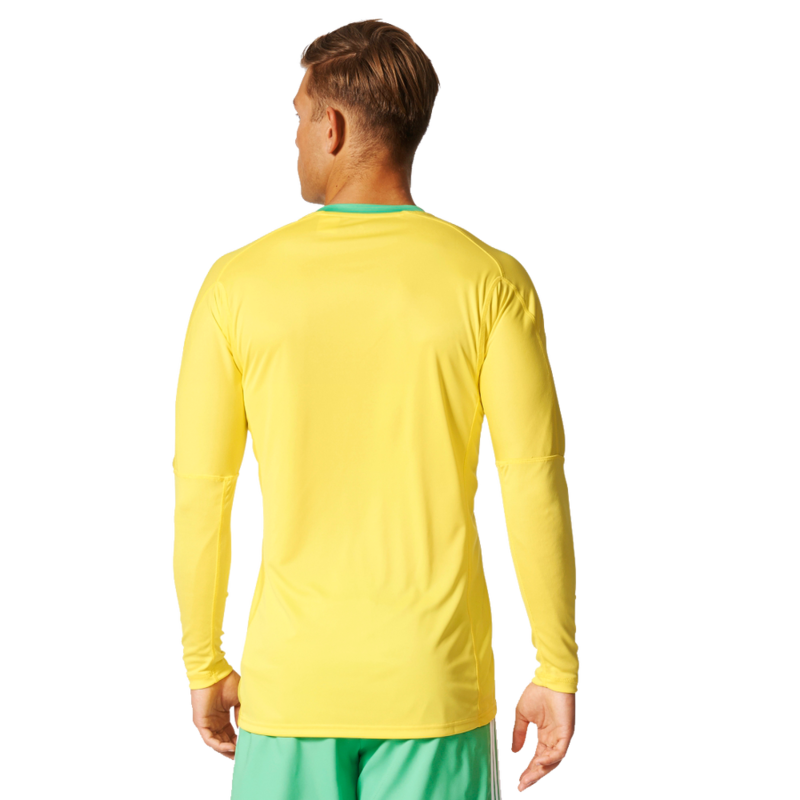 The Revigo 17 jersey uses innovative super stretchy fabric with allows for freedom of movement but also keeps it in place where needed as well. 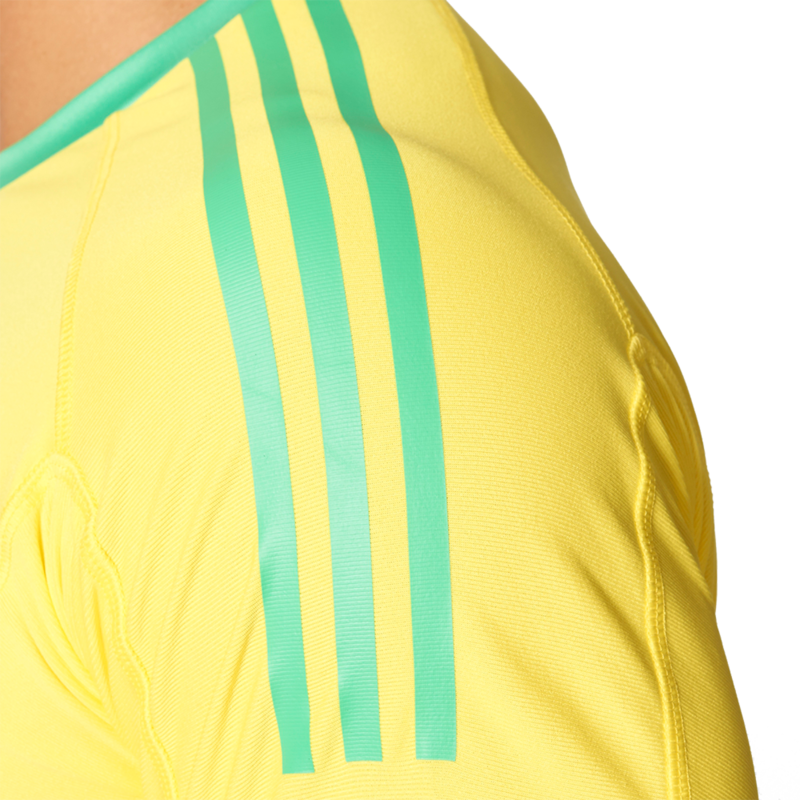 Adidas designed the shoulders of the Revigo in a way that keeps the shirt from riding up less as a goalkeeper reaches for save. Under arm extensions also help. Low density foam padding to protect the elbows of youth goalies. I brought this shirt for my son and he loves it. Perfect size and very comfortable.